Why buy packaging products sight unseen? Let us help you get a comfort factor with the box, pallet, cushioning, or any other packaging solution by providing a sample – free of charge. We often utilize precision samples for testing and certification purposes. 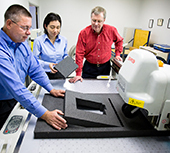 Prototypes can be produced on a Kongsberg CAD table or a CNC router for precise cutting and drilling. For other custom wood products, we will hand-assemble a sample for review and approval. Combined with ArtiosCAD, this computer design-driven cutting table is excellent for prototypes & low-volume requirements. 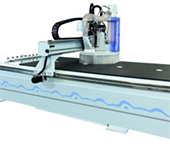 Quickly convert a drawing into a prototype using a CNC router for exact cutting, drilling and sawing. For the items that do not lend themselves to automated table creation, we are happy to hand-assemble a fully-functional sample.